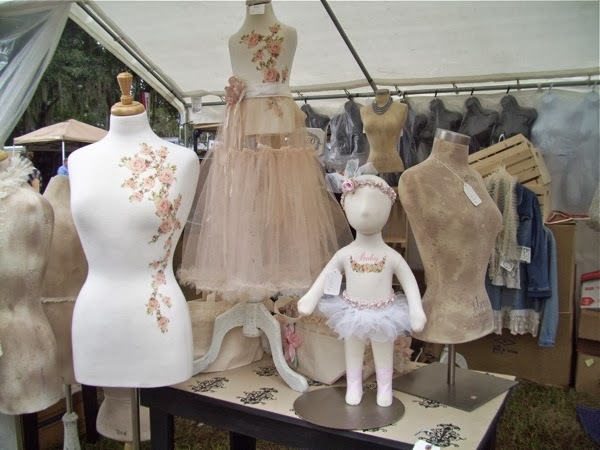 Last Saturday was the Fancy Flea Vintage Market and the first time it was being held at the Plant City, Fl Fairgrounds. We arrived a few minutes before opening and before even getting in it started to rain. I am not talking about a little shower, but a monsoon! People were getting out of line and heading home, but I was determined to stay. Here is the line at the market entrance. And below is what most booths looked like. to keep it dry. 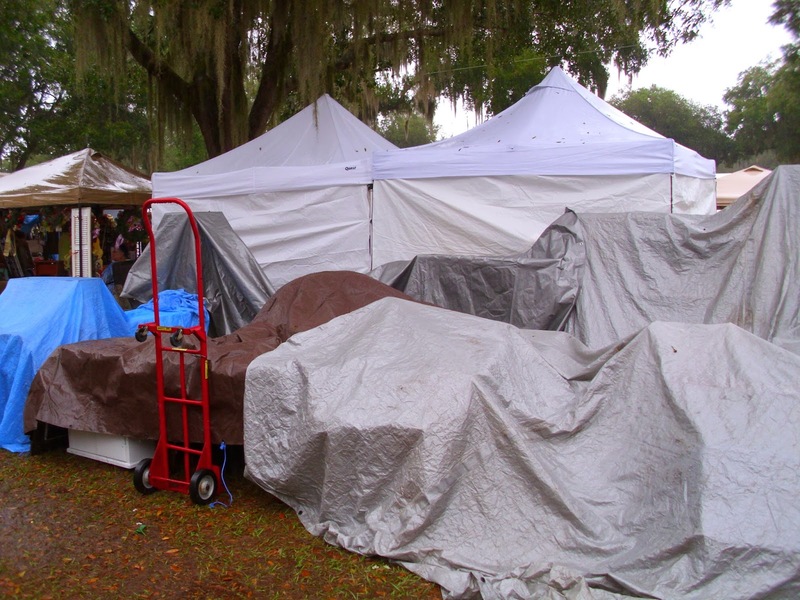 There was no way to get into the tents nor see anything for sale. tow trucks had to be called….what a mess! vendor and you can check out more about the market on her blog. I think the little girl form is so adorable. the car wringing out our wet clothes we had a good laugh at our appearance. when planning the Spring market’s location. Thanks for dropping by and check back here tomorrow for a great GIVEAWAY. That's such a shame for everyone involved with that show. Noone could sell or buy! Mother nature always wins. LOL! Awwww, I hate when that happens, yep they should think of a different place in case it should happen again. Oh Sherry, I wish I had your pictures when I wrote my post! I had no idea there was a line to get in! and that the vendors were closed down that tight. Thank you for the shout out, you were a trooper to brave it at all….Can you imagine how successful it would have been if it had been great weather! Of course the highlight was to finally meet you! Oh that is so sad to see. 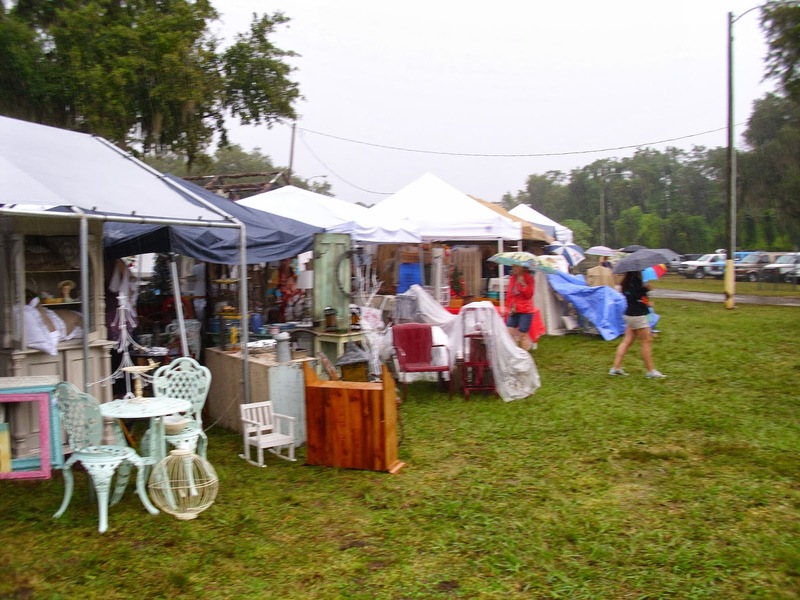 I almost bought a plane ticket to go down to Florida to visit my mom and go to the Fancy Flea. So happy I did not do that. I have heard how great that market is and have always wanted to try it. My mom lives right near there. Glad I changed my mind and stayed in Chicago. 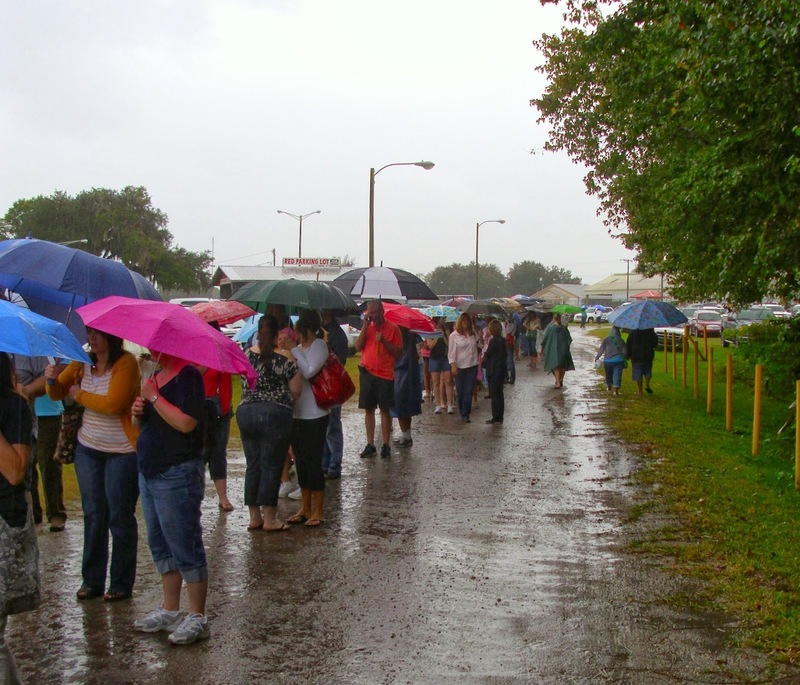 I feel bad for the vendors and all of you that got soaked and could not enjoy shopping the treasures. What fun to meet Carol Sherry but I feel so bad for the vendors. It's so much hard work to get ready for a show like that and then have it poured on. Oh boy…..I am just beginning to do shows and i would be heartbroken if all my hard work came to that! At least you met a friend! 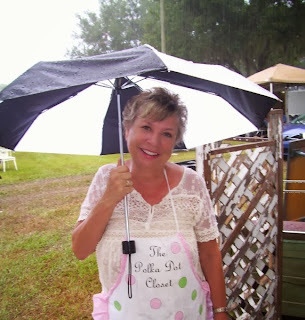 I love Polka Dot Closet so you found the best!! So sorry about this… I usually only do inside Craft Fairs because of this reason. It was a mess that's for sure and it was more than the rain.